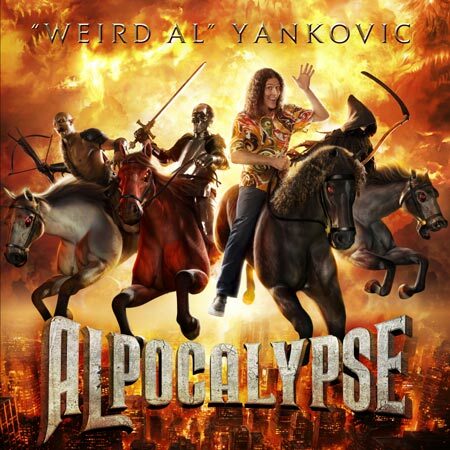 Every few years, Weird Al Yanokvic graces us with another of his parody-laden albums, tweaking songs weve all become familiar with over the radio into things only his goofy little mind could come up with. And each one of those records he puts out contains a polka medley that tosses together a collection of big, random tracks from recent memory. With Alpocalypse dropping June 21st, we get a new polka medley in “Polka Face”, this one also apparently inspired in-part by the Muse that is Lady Gaga. Though he’s been perfecting it live for a few months, thanks to Stereogum, you can check out the album version below, along with a breakdown of each included song. Behold, the power of a mighty polka. Alpocalypse hits stores June 21st via Jive.